I was quite surprised to find out that I hadn't reviewed this beer yet, I must have just talked about it with about every beer person I know! This is the big brother of Resin, find my review here, and at 11.1% is an absolute monster! 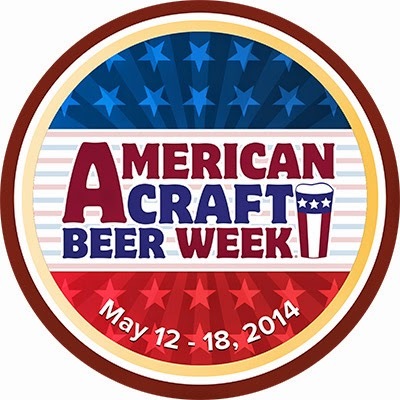 American Craft Beer Week was May 12-18 this year. This badge is a simple one to get, and you've still got time to get it! Simply check-in any American craft beer before the end of tomorrow (May 18th). Surely you'll be able to find a quality American craft beer while you're out celebrating Good Beer Week! Hi-Res pours the standard clear deep orange colour for the style. There is quite an impressive sized head of cream coloured foam, which is permeated by small bubbles. The top half of the head dissipates relatively quickly but the bottom two fingers has excellent retention. This beer also laces the glass really well - don't drink one from your IPA glass and leave it there for a few days, it's a nightmare to clean! It's a really nice looking beer. The hops unsurprisingly drive the aroma of Hi-Res, but first there is quite a big sweet caramel malt base. The beer is loaded with hopes and there is plenty of pine, tropical fruit flavours and even some spiciness. I don't know the hop profile of this beer, but there's got to be a minimum of 4 or 5 different varieties in there. 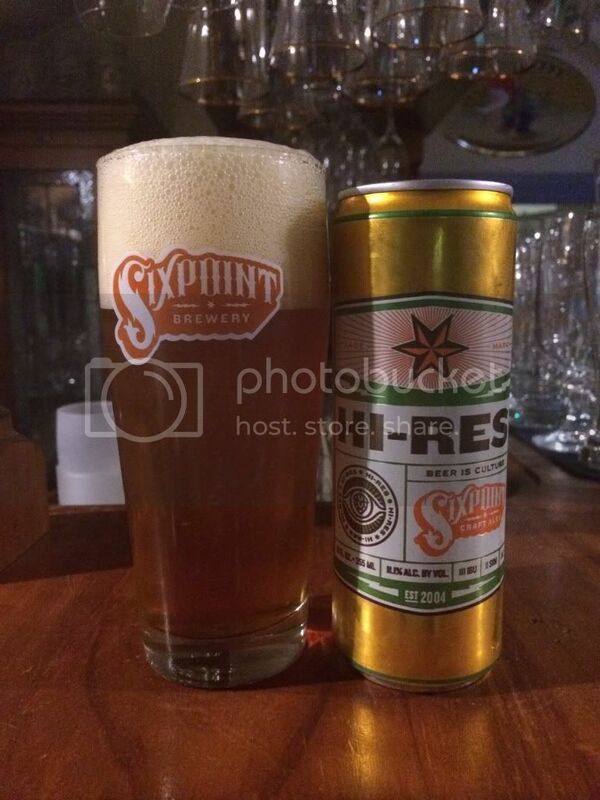 Sixpoint's Hi-Res is a flavour bomb! The malt base is quite sweet and it's huge, with caramel being the dominant flavour. There's a touch of raw alcohol but it's pretty well hidden, before the hops really take charge. They provide good bitterness, without being over the top, and have almost every hop characteristic I can name! This is such a well balanced beer and at 11.1% is dangerously drinkable! My thoughts on this beer should be pretty obvious by now! I really struggle to find faults with Hi-Res, it's that good! The only criticism I've ever heard is that some people think it's a bit too sweet. For me I think that's just people not understanding what a big balanced IPA tastes like. This is not one to miss if you are a hop-head, it's awesome!